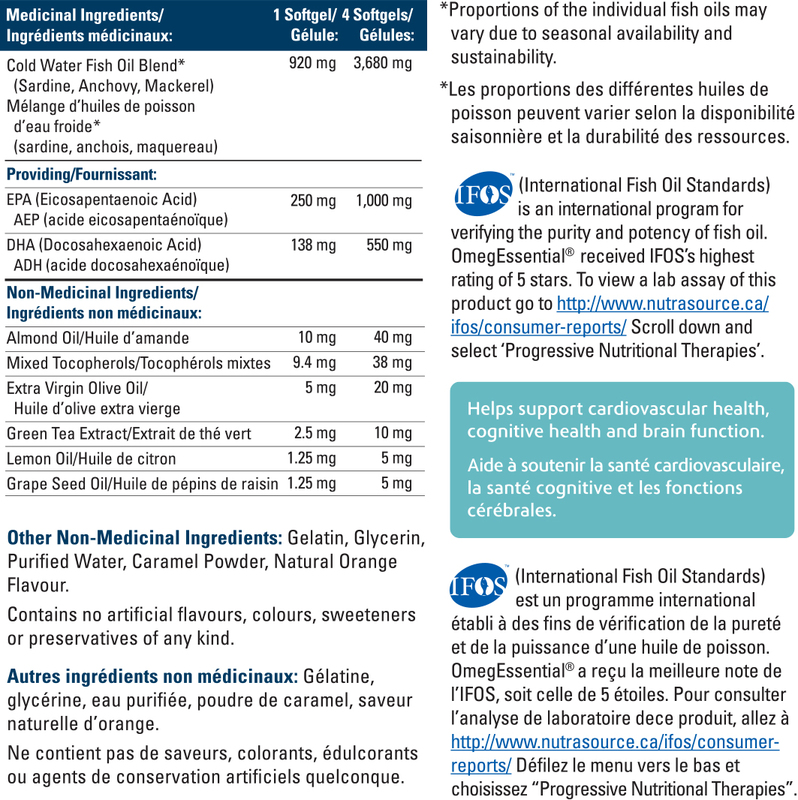 OmegEssential is a multi source, high potency fish oil supplement. 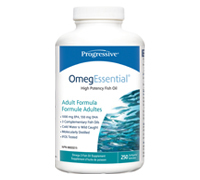 Each serving provides 1,000mg of EPA and 550mg of DHA in a balanced 2:1 ratio. It features a blend of cold water, wild caught fish oils from sardine, anchovy and mackerel. A multi source fish oil blebd offers greater diversity and nutritional impact than any single source. OmegEssential also includes a family of support nutrients designed to naturally enhance your body's ability to process and utilize the essential fatty acids. Directions: Take 1 tsp. (5ml) daily with food or as directed by a healthcare practioner.